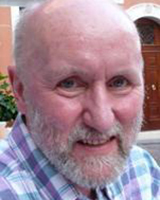 Gearoid spent more than thirty years teaching philosophy, theology and spirituality in India and in Ireland. His experience of living in India for eleven years brought him into direct contact with cultural, religious, ethnic, linguistic and culinary difference. It also introduced him to new (ancient) philosophical and spiritual understandings of life. In the 1990s he began to explore the male spiritual journey and became involved in a number of men’s groups. He was also involved during those years in delivering a programme for people who had experienced separation, divorce or the death of their partner, and a similar programme for the young adult children of such parents. Gearoid began his training in counselling and psychotherapy in 1997. During a four-year period from 2000 -2004 he had direct experience of and responsibility for dealing with perpetrators and victims of child sexual abuse within a section of the Catholic Church. After a six month internship he began working in the Granada Institute in 2005, where he was involved in the assessment and treatment of men who had perpetrated child sexual abuse (contact and non-contact). He worked there until its closure in 2010. During that time he was seconded for a year to work with the Psychology Department of the Irish Prison Service in Arbour Hill Prison, delivering their ‘Building Better Lives’ Programme within the prison. Gearoid served as a member of the Governing Body of IAHIP and was Honorary Secretary for 2 years. He is presently Chair of the Complaints Committee of IACP. He has maintained a small private psychotherapy practice since 2004 and is an accredited supervisor. He previously worked in Turning Point™ as Director of Clinical Services and in TPI as a tutor since 2011. He acted as Assistant Programme Director from 2013 to 2018.